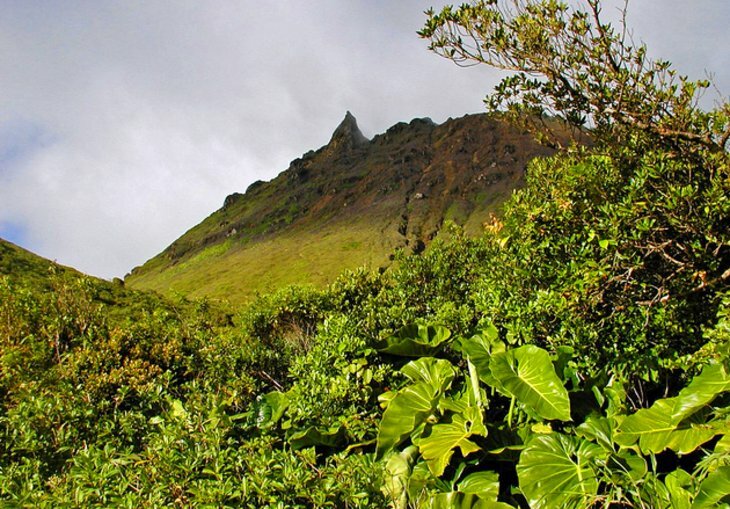 The highest peak in the Lesser Antilles, La Grande Soufrière is an active volcano, which has erupted eight times since 1660. Hot springs, mud pools, and fumaroles punctuate its barren, black sides. Hikers can ascend the volcano along the Chemin des Dames trail, an approximately two-hour climb with panoramic views from the highest points of the massif, as long as the weather is clear. The triple waterfall of Chutes du Carbet flows down the eastern face of La Soufrière massif from a height of 115 meters, with lookouts over each waterfall. Hikers who follow the trail to Etang As de Pique will find one of the largest of the mountainside lakes formed in craters on the volcanic massif surrounded by lush hillsides. 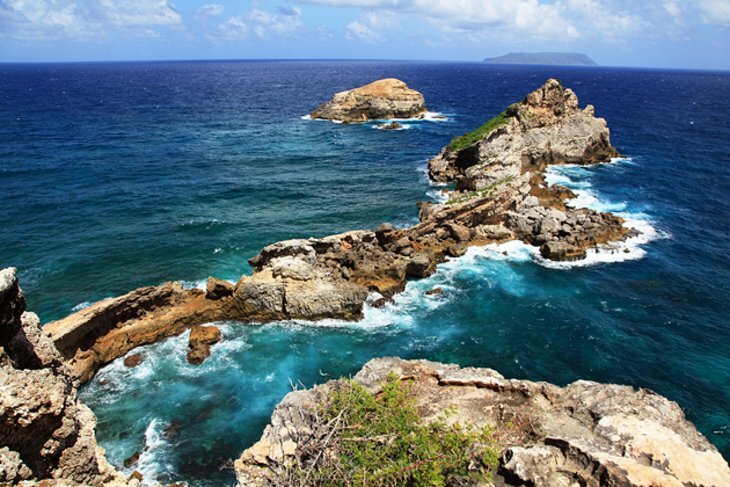 La Pointe des Châteaux is a scenic isthmus at the easternmost point of Grande Terre. The windy, wave-battered point with castle-like rock formations exudes a rugged beauty reminiscent of Brittany. A botanical path leads from the village to a vantage point among great black rocks, which gives a clear view to the islands of La Désirade, Petite-Terre, and Marie-Galante.